 Zug, Geneva, Switzerland – July 3, 2018 – WISeKey International Holding Ltd (WISeKey) (SIX: WIHN; OTCQX; WIKYY), a leading Swiss cybersecurity and IoT company, today announced that sales of SuisseID Signing Services for its subsidiary QuoVadis Trustlink Schweiz AG (QuoVadis) have increased significantly since Q4 2017. The SuisseID Signing Service by QuoVadis allows customers a legally valid qualified electronic signature as well as a secure login / authentication option. The solution is operated as a cloud service, without the need for hardware such as smart cards or USB tokens, and is extremely user-friendly. WISeKey QuoVadis believes the main driver for the increased sales is the noticeable larger demand for services related to the digitization of the Swiss business-to-business market. “We have noticed that Swiss companies are rapidly adopting e-business methods. While in the past, companies sank into a never-ending planning in attempt to digitize their business as a whole, now they agree it is more efficient to proceed in small steps, that can be implemented quickly. The upgrading of old-fashioned signature processes is often a good starting point in reducing costs and increasing efficiency. As a result, since the beginning of 2018, we have significantly expanded our client base for e-signing solutions,” continued Mr. Brunner. Legally binding: According to the Swiss (ZertES) and European (eIDAS) electronic transaction rules, a QES is legally equivalent to a paper-based signature. 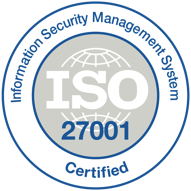 Highly secure: The creation of a QES is highly secure – the Swiss legislation with the OR Art. 59a1F. reversed the burden of proof in the context of using a QES. Completely digitized processes save time and money: Expensive and complex signing processes via printing, paper consumption, sending, waiting for an answer, scanning and manual archiving are eliminated in favour of fast, consistent and digital processes without media breaks. Automation: Structured data enables process automation. Optimizes sales and contact channels: A local presence is no longer necessary, geographic boundaries are falling, opening hours are no longer business stops. Depending on the solution, today QES can be made independent of location, time and device. Digital target groups are adequately addressed and can conclude contracts with providers according to their individual needs (such as, when, where) legally binding and online. 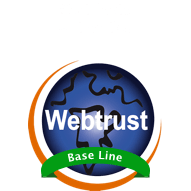 WISeKey QuoVadis offers tailor-made customer solutions for Qualified Electronic Signature using the SuisseID Signing Service or with its latest eSignature family PrimoSign. As part of the new Swiss eID law currently being considered in the consultation process, WISeKey QuoVadis has committed to become an Identity Provider (IdP). 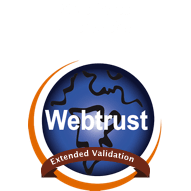 QuoVadis is the service provider of WISeKey (SIX: WIHN) and specializes in cryptographic services (managed PKI services) with digital certificates and electronic signatures. 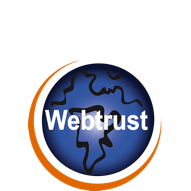 The offer includes SSL / TLS certificates for websites, certificates for authentication, encryption and the creation of digital signatures. Specialized platforms for legal electronic signatures and digital onboarding, software solutions for mass signatures as well as industry-specific offers in the IoT environment and time stamp services complete the range of services. QuoVadis electronic signatures are already used in more than 60 million electronic transactions each year. QuoVadis offices are located in Switzerland, the Netherlands, Germany, Belgium, the United Kingdom and Bermuda.